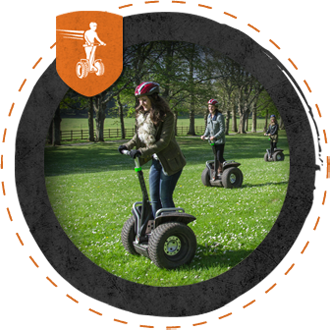 Assemble everyone and join us on a multi award-winning experience on board an all-terrain Segway. Our team is committed to providing meaningful experiences and encourage a life of adventure. Explore with us in 2019. After all, every adventure starts with a first step! 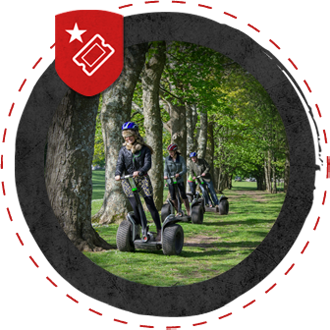 If your the person in charge we’ve made the whole process of organising a great day out easy. 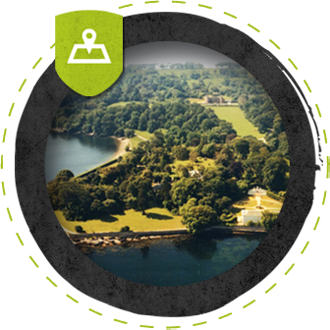 Simply download this guide to see all that we can offer – including prices, lunch and other fun stuff. Your event co-ordinator will answer all your queries, tailor the day to suit your needs and your budget � so you can relax knowing everyone is in good hands. Give us a call on 0371 789 1024 between 9.00am – 6.00pm to discuss your requirements with us. We will require a �10 per person deposit to guarantee your session time. This is fully amendable and you can change the participant numbers and the date/time of your experience as many times as you like. Your group co-ordinator will then confirm final numbers approximately 48 hours ahead of your experience. The remainder can be paid in advance or everyone can pay separately on the day when they check-in at our explorers outpost. Our normal terms and conditions still apply, which means if it all goes wrong you can amend your booking for free (providing you give us a bit of notice) and we�ll provide you with a full refund if we have to cancel your experience for any reason.